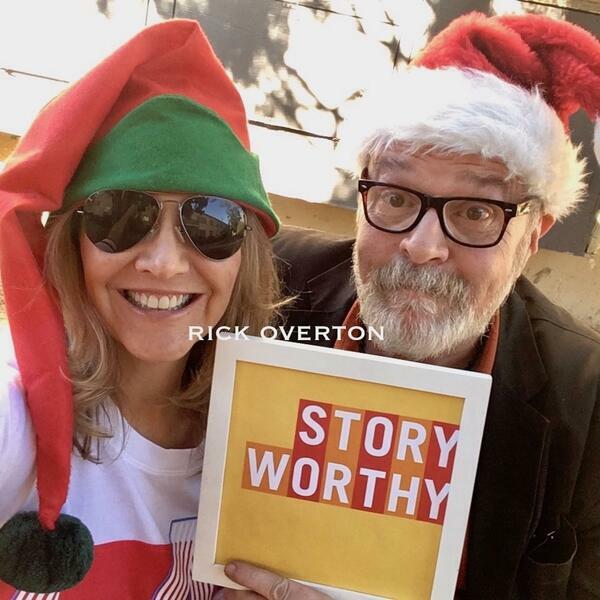 Comedian Rick Overton talks about running into his neighbor John Lennon and watching his God go shopping. Listen to this episode and have a great holiday! Here’s a few links to help you get the most out of Story Worthy- if you’re listening on an iPhone, all you need to do is tap the cover art while the show is playing, and you’ll see the episode notes, including the links. If you're using an Android, just hit Google Play. Please subscribe and join the Story Worthy Facebook page! We’d love to hear from you at info@storyworthypodcast.com or on our survey at wondery.com/survey. Plus, when you go to storyworthypodcast.com you’ll also find special deals courtesy of our sponsors like Beach Body on Demand, FabFitFun, ZipRecruiter, Sustain Natural, Hello Fresh, ThirdLove, Casper Mattress, LeTote, and Audible (promo code STORYWORTHY). It’s good karma guys! Oh, and make it a Story Worthy Day!